Last week, HARMAN joined leaders from J.D. Power and Associates, Valeo and Magna in a panel discussion to reflect on new findings from J.D. Power’s 2016 U.S. Tech Choice Study. 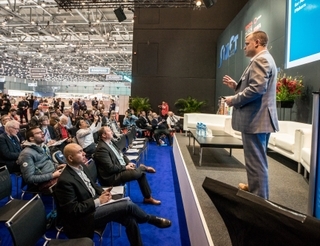 Hosted by the Automotive Press Association, HARMAN’s Director of User Experience, Jason Johnson, shared his insight on autonomous driving and how HARMAN is paving the way for more connectivity between drivers and their vehicles. Building off of last year’s findings, consumer interest continues to grow around “gateway” automated vehicle technologies. 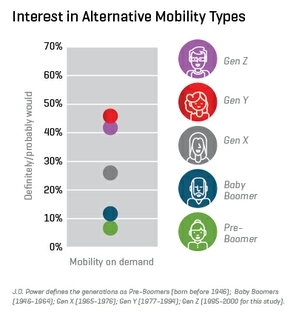 The 2016 survey found that younger consumers have more trust in automotive technology with more than half of Gen Y (56%) and Gen Z (55%) vehicle owners say they trust self-driving technology, compared with 41% of Gen X, 23% of Baby Boomers and 18% of Pre-Boomers. J.D. Power identified that the one view all generations share is a concern for technology security. Reverse Pedestrian Detection Technology: This solution uses data from a range of HARMAN technologies fitted to the car, including a rear camera and sensor, to detect smaller objects or children who are most vulnerable to being hit. With the new technology, it reduces “back-over” incidents typically hidden by blind spots. To learn more, read here. Securing the Vehicle with New Investments into our 5+1 Security Architecture: In March, HARMAN successfully closed its acquisition of TowerSec, a global provider of automotive cyber security. Since then, HARMAN’s Connected Car division began fully integrating TowerSec’s expertise and leadership into the business, utilizing TowerSec’s ECUSHIELD and TCUSHIELD embedded automotive software security products as another layer to HARMAN’s 5+1 security architecture. To learn more, read here. Alliance with the Intelligent Car Coalition: HARMAN recently joined the Intelligent Car Coalition, the leading advocacy group for pro-innovation connected car public policy. In joining the ICC, HARMAN continues to collaborate with companies and trade associations in the communications and automotive industries to support the understanding of how connected car technologies impact federal legislative and regulatory initiatives. ICC’s impact and alliance allows companies like HARMAN to further innovate in the connected car space and bring new solutions to drivers that keep them connected, safe and secure. To learn more, read here. For more information on J.D. Power’s new U.S. Tech Choice Study, click here.